Golden Tote is a women’s clothing service that is not actually a subscription. You choose an option to pick 1 or two items and then fill out your profile to let them know your preferences. They will try to match your likes with the surprise items that they include in the tote! The $49 option does not include all of the clothing options that the $149 does. Golden Tote is shipping orders $149 or more for free. It does take a long time to get your tote. This tote took over two weeks to be shipped. I would not order this tote if you are in a huge hurry to get your items. I think it must take a great deal of time to go through each profile and match what is on hand with what will make a customer smile. Pro Tip: Fill out your profile before you buy your tote. If you are waiting until the day new items are posted then make sure to have your profile filled out ahead of time so that it does not slow you down. What could all this be?!? Farmers Market Shift Dress (Blue): *Chosen Item* I got this dress in medium thinking that it would then for sure be long enough. While I can wear this dress without showing the world my droppy rump, it is pretty darn short. Oddly it is also pretty darn wide. I like the weave of it, and I think the blue is bright and happy. I totally imagined myself strolling along in a Farmers Market complaining about the rising costs of beets in this dress when I bought this dress. Now I imagine strolling in a Farmers Market and complaining about the draft! So short it might get me a discount! The black and white look fits in with my tuxedo cat! 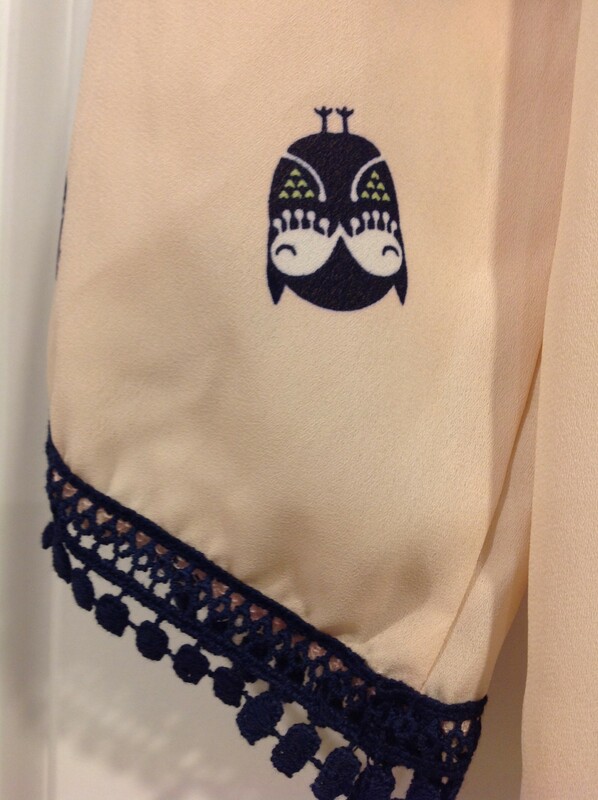 Le Lis Owl Printed Top (Peach): I put in my profile that I like clothing with animals on it and I was excited to get this. I will probably have to wear a little cami underneath since it is a bit sheer. Still, this will be perfect for work and allow me to show a little bit of my quirky personality without going overboard. 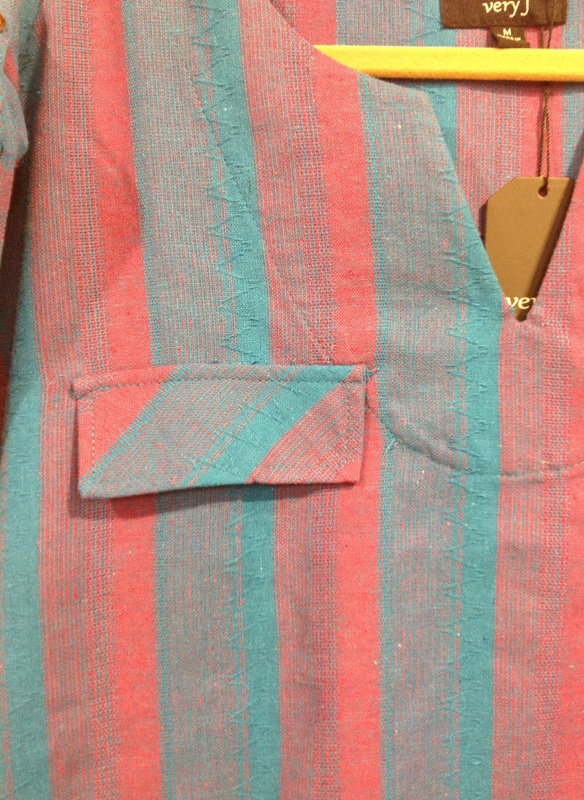 I think the detailing on the sleeves are pretty, and a nice touch! I can wear this shirt and pass along fun owl fact like: A group of owls is called a parliament! 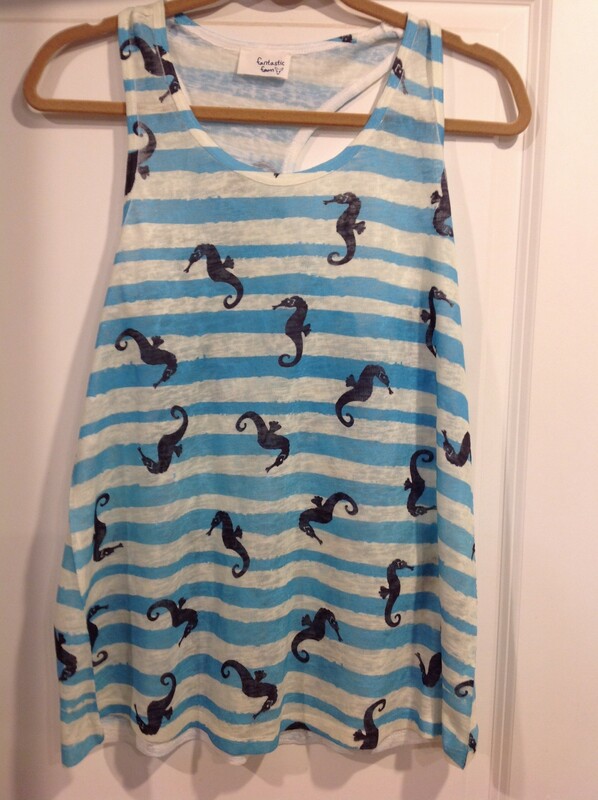 Fantastic Fawn Striped Seahorse Tank (Blue): Again I appreciate how they looked at my profile and tried to get me an item that had animals on it. I think this shirt is perfect for a San Diego summer and will probably be something I wear a ton. No, I don’t feel I am too old to pull this off because the love of the seahorse is eternal. I wonder how long I can go unnoticed if I wear this to the aquarium? 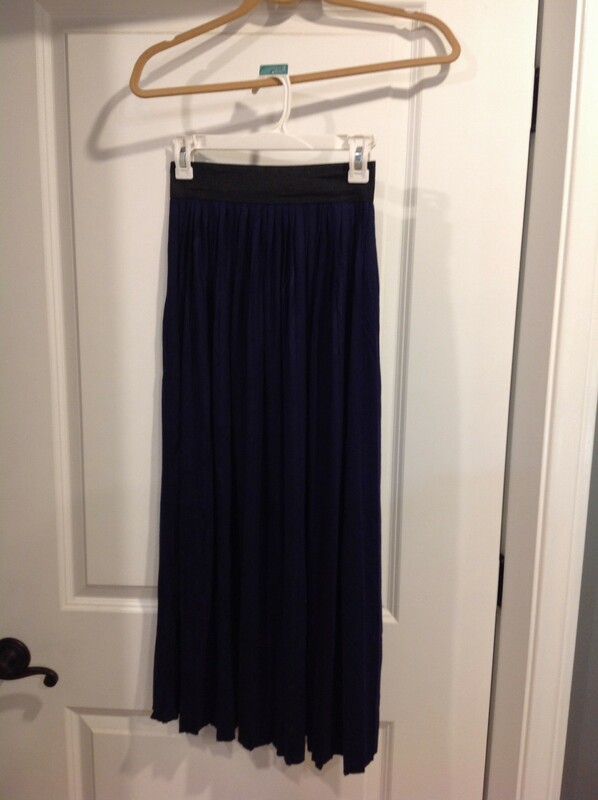 Tea & Rose Solid Midi Skirt (Navy): Another unbelievably soft item! I dig the elastic band because lets face it, sometimes I feel like a bloated cow. I can reach for this skirt when I am not feeling my most svelte but I still want to look like I at least tried not to wear sweatpants to your birthday dinner. Who are all these people anyway? I want a separate check! I wish my suit pants all had elastic! 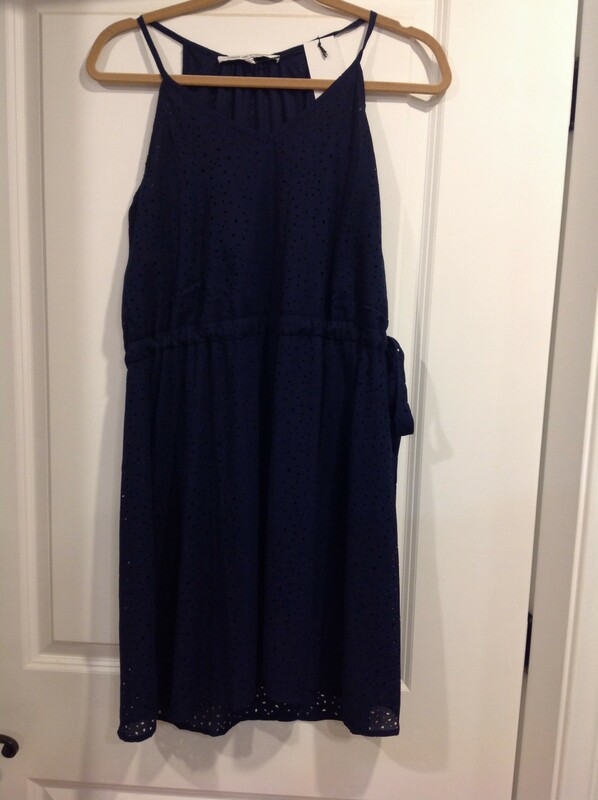 Collective Concepts Tie Waist Dress (Navy): I would have picked this dress as a chosen item! It looks very cute on, and the integrated belt makes it easy to show a little hip to waist ratio without messing around with finding a belt that will work. The material is very pretty close up, and I am digging how understated it is. 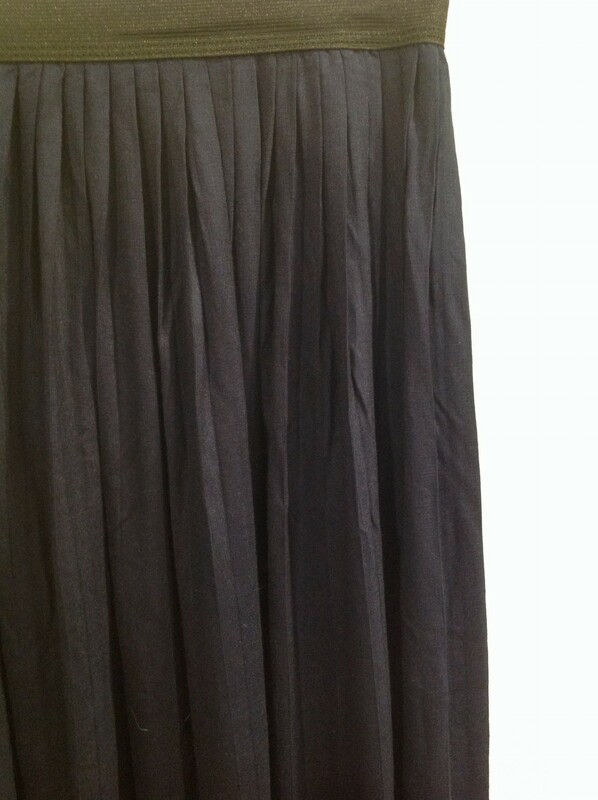 The length is right above the knee, so it will be an appropriate choice for a lot of different situations. I could wear this to look cute while making my guilty way to the bakery, or with a nice cardigan for a work event. *Silver Bracelet Bonus Item: The past couple months have been tough for Golden Tote because the new website they launched was not prepared for the amount of traffic it would get. Many customers were getting angry about the issues and to smooth out ruffled feathers Golden Tote decided that everyone ordering in May would get a bonus jewelry item! I usually order after the initial rush because for whatever reason I never seem to want the most popular items. So this was an added treat! 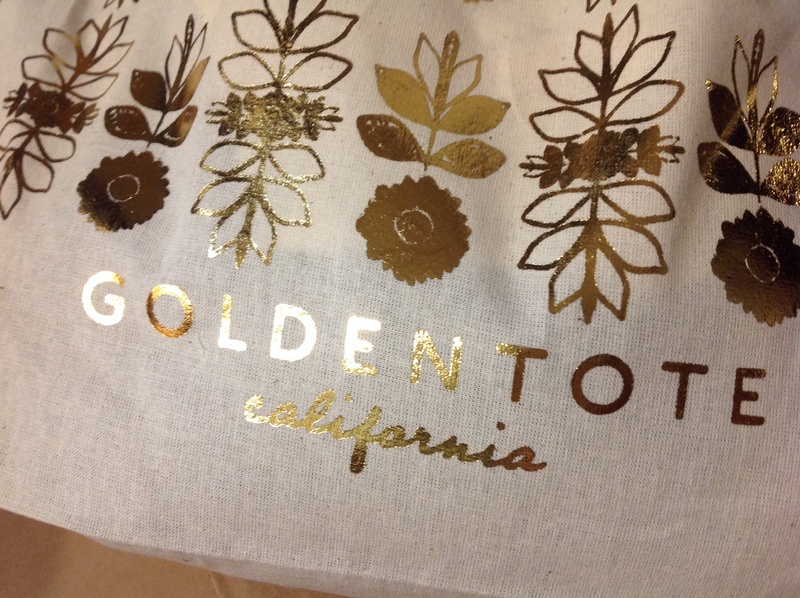 Verdict: This month’s Golden Tote was totally worth the wait! I liked every item I received and I feel like they really do try to stick to your profile and get you things that will bring a smile to your face. 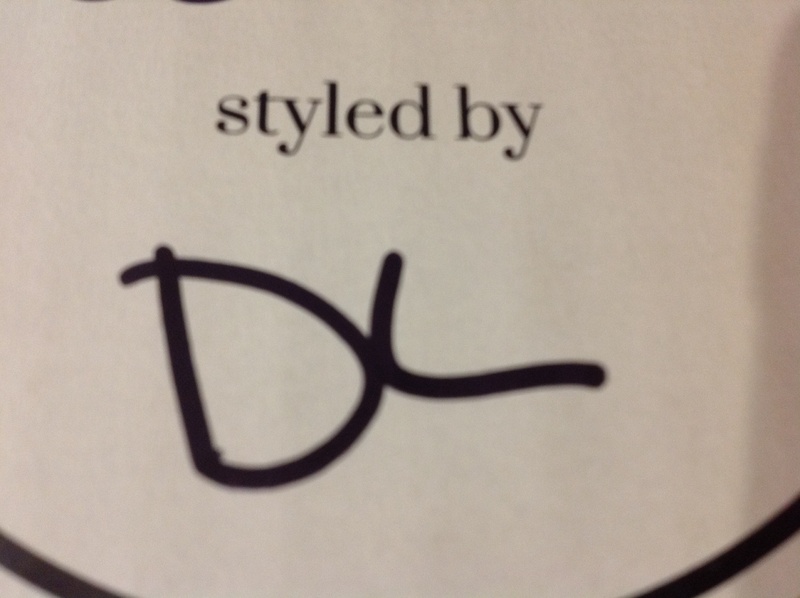 A special thank you shout out to DL who styled my tote this month!!! I am going to wear every item I was sent this month and for me it makes it totally worth the money. That, and I love to be totally surprised when I first get my tote! Disclosure: Signing up through my link (Golden Tote) credits me with $10. Anything helps when paying for all this stuff out of pocket! A real quick note. The dress is freaking me out. Is it the same dress in the first two pictures? They look like different colors? 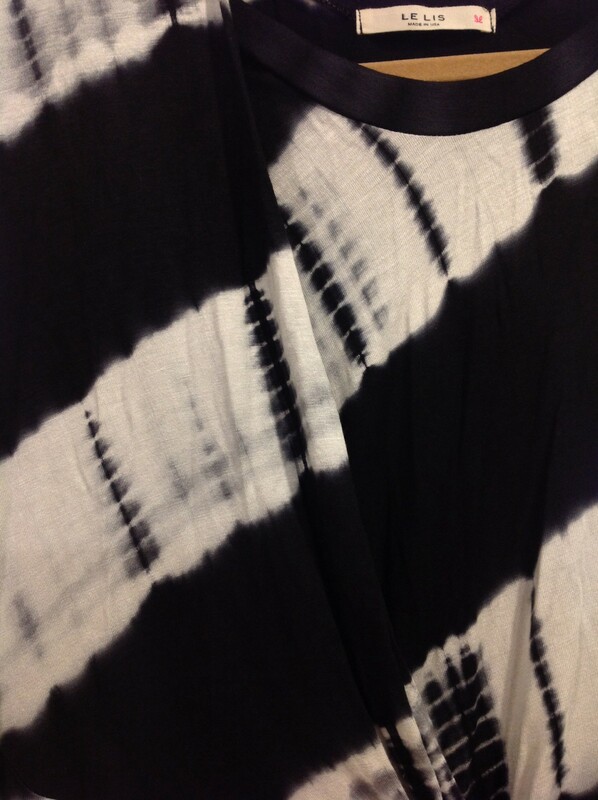 This reminds me of The Dress. It is the same color! It is more like the first pic but I wanted to show the material so I put a lot of light on it. I wish I had more natural light to take pics with!!! 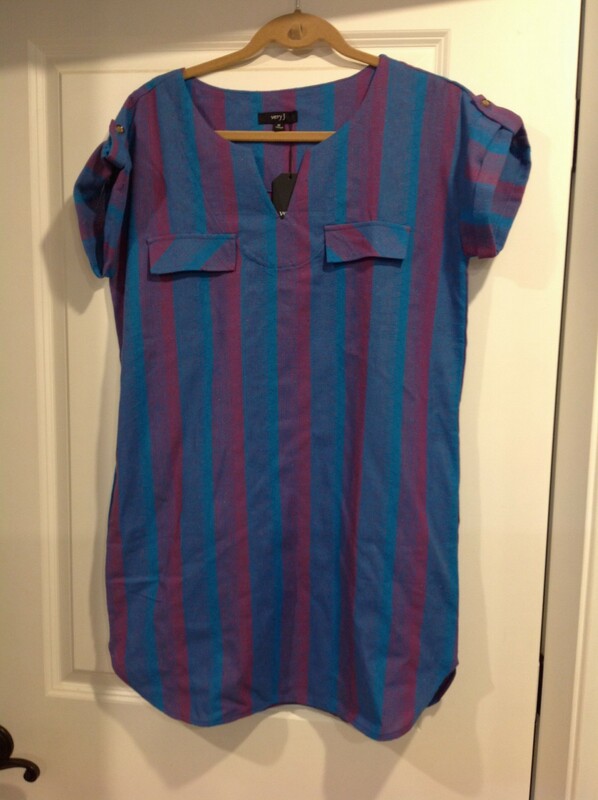 Is it a navy blue and burgundy color or a turquoise and peach color? It does look short on the hanger. I like the items that you received especially the seahorse tank. I did check the website and did not see the seahorse tank. I do like your review. So the surprise items are never on the website, which if they were it would drive Golden Totes into a tizzy! 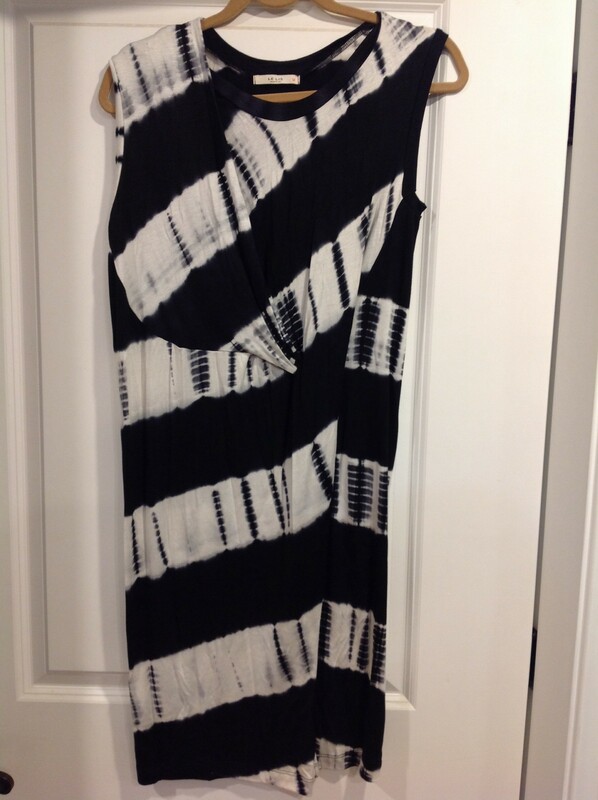 I’ll try to get a better pic of the dress. 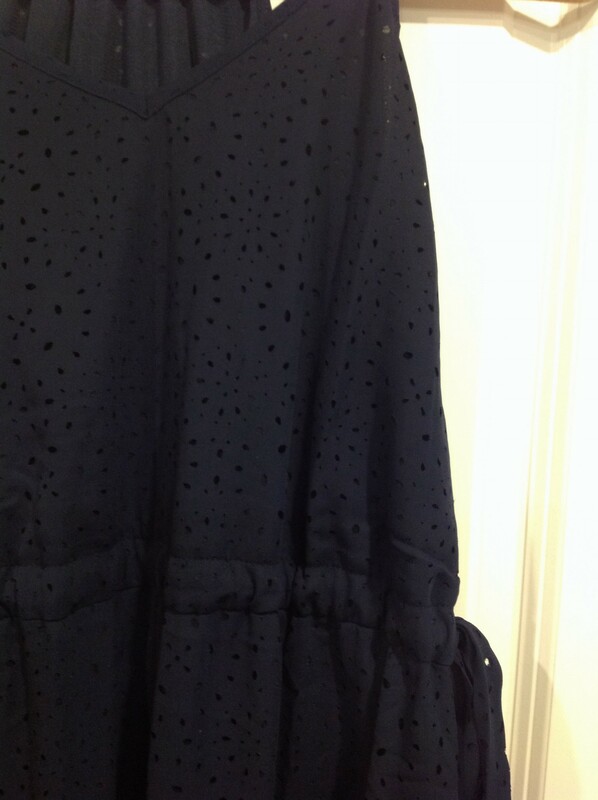 It is brighter dark blue with a darker pink. I tried to go on the website but it’s down for repair! The Dress strikes again. Super cute stuff, love the owl shirt, and the vocabulary lesson. I had problems with website, so I bailed. I’m picky about clothes and don’t wear dresses, but you rocked it. You’re my neighbor, I’m in LA. Hi neighbor! Lol I will try to take better pics next time. Light can change the color so drastically!!! I’m not as picky about clothing. I really don’t have a defining style. I should get on it though! My defining style is stage crew, I never met a tshirt or jeans I didn’t like. I literally snorted out loud! I am so bad that stage crew would be so many steps up. I am so used to work out clothing that jeans feel like dressing up. Only my job keeps me a part of civilization!